I found some of the ideas in this article refreshing and stimulating. Perhaps those who want to help others launch their Quit Smoking Journey could use some of these concepts in our approach? I'm asking for feedback... I sometimes feel like we get entrenched and need to take a look at what works. Information is fine but connection is better! How can we forge those connections? All questions and no answers today. Maybe you all have some answers. Let's get talking! Tobacco Companies are doing just fine, Thank You very much! They simply changed their marketing targets - to the marginalized! So now smoking is entrenched in the poorest of the poor who can't access health care and to third world countries who don't have the laws to protect their citizens from money hungry Big Tobacco. Stop blaming yourself! Yes, you smoked and it wasn't entirely your educated choice. I'm not making excuses - I'm looking at the macro picture so don't blast me please! A lot of it was simply about greed! But you can stop! You can get educated and you can prevent the travesty in your own Life! Folks, Life doesn't get in the way of your Quit! LIFE=QUIT which means QUIT=LIFE or in other words, Recovery means living Life on Life's terms - good, bad, and ugly! That is what it's all about! No matter what goes on in our Lives smoking is not required and more importantly, in no way will make anything better! Just the opposite! Smoking adds complications to all of it! My Wife had knee surgery on Friday. NO WAY would I want my stinky, poisonous second and thrid hand smoke anywhere near her!!!! Haven't seen my Granddaughter for a while now! I'm having severe Miss Penny withdrawals! Smoking wouldn't help any in way! I have a job interview tomorrow! Smoking doesn't calm you - it just turns off the interviewer! Sometimes LIFE seems on overload! But my QUIT has everything to do with my Life - making it 10000000% BETTER! Don't listen to the Nico-Lies that say you can't get through Life without a Sickerette! You absolutely can under ALL circumstances! Read about elvan shashort and so many others!!! Addictive thinking is wrong thinking. You don't have to believe it and you should never trust it! Sarah used to post this one on a regular basis but reading the thread about ACCEPTANCE brought me back to this. Over the Years many folks have described Sickerettes as their Best Friend (hopefully not forever!) Finding our way out can be a labyrinth of emotions. Change, even good change, goes through the same stages as grief because grief is one of the biggest changes of all! The stages don't line up in perfect order. They blend back and forth or skip over each other and sometimes come out of seemingly nowhere to wake us up. But like a spiral they lead to layer after layer of acceptance! So here it is. 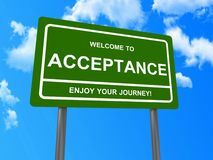 I hope it helps us all get a bit closer to acceptance. I am a work in progress. God Bless Us ALL with an Addiction FREE LIFE!